For the past few weeks, we’ve been hit by the 2018 FIFA World Cup fever. With football fever at its prime, it has reached an extent that even some footie fans’ dating game has taken a toll. Angry girlfriends and wives complaining of how the World Cup is to blame for the lack of attention from their spouses. Indeed not everyone shares the same passion for Mo Salah or Die Mannschaft but it shouldn’t render your love life completely depressing. There is still a way to relight the romance with a couple of financially friendly, fun packed date ideas this World Cup. Check out online savings platform CupoNation Singapore’s top tips to successfully convert your loved one into a fully fledged football fan. 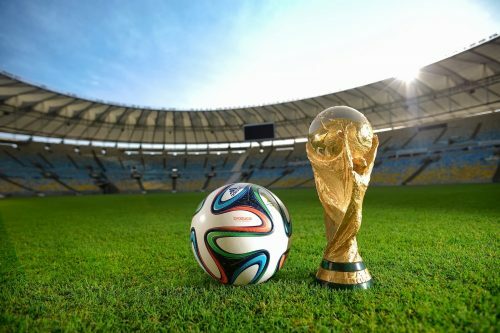 To be honest, you have absolutely no excuse not to squeeze in date night during the World Cup season with the wide range of restaurants and bars available in Singapore offering special World Cup sets and feasts. If the missus insists on a fancy evening, you have your available options in the form of Ce La Vie to a good old feast of ribs at McGettigan’s Clarke Quay. At the end of the day, it’s a happy ending for the both of you – you get to keep score of the match and she gets an Instagram approved evening without pulling a Daryl Aiden Yow. Not all of us have a credit card spending limit like Cristiano Ronaldo, hence I would suggest hunting down discount promo deals to avoid paying a limb’s worth of dinner and drinks. 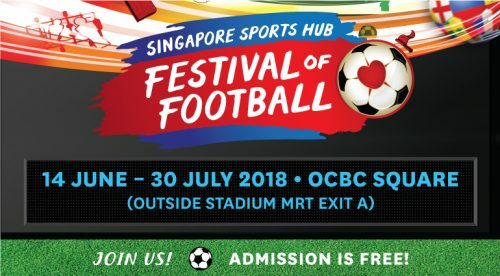 If you are bored of the usual lunch, dinner, coffee, and all sorts of food-related dates, you might want to check out the Singapore Sports Hub Festival, happening throughout the World Cup until July 30th at the Singapore Sports Hub. The festival is pretty much like a football-themed fun fair except that admission is free of charge. You and your partner can get to know each other while enjoying a myriad of activities like workshops, tournaments, music performances and food stalls. In the words of female icon/ Gossip Girl character Blair Waldorf, “Whoever said that money doesn’t buy happiness didn’t know where to shop” – you can bet your socks off on the fact that your partner is not excluded from the female population that seeks solace in shopping be it window or actual money spending. In the spirit of the games, you might suggest a World Cup jersey shopping date instead of the usual handbag and shoe trip. This time around you can expect to see a lot of dupes and hiked up prices when it comes to World Cup jerseys. As tedious as this may sound, but trust me this will save you the agony of overspending during the season hype, check out price comparison sites to compare prices between different sportswear manufacturers for World Cup jerseys such as PricePanda before you guys go on your shopping date. You’ve got a few more weeks to go, so better make the best of it and seize this opportunity to swing a relationship disaster into a romance World Cup!